TRANSnet deployed in Adelaide Australia! Advantech’s TRANSnet Public Transport Priority system has now been deployed in Adelaide, South Australia. Information on bus route timetable information from the Adelaide MetroCard system is fed into the TRANSnet system to provide the most adaptable and effective Public Transport Priority system available today. TRANSnet makes intelligent decisions on the most appropriate form of priority to provide, and can escalate priority demands only if and when required. Special Intersection Recovery Options are included to restore normal operation as quickly as possible after priority intervention has been applied. 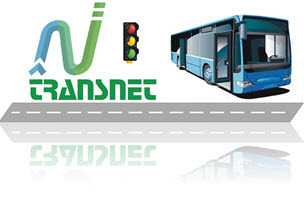 The TRANSnet Public Transport Priority system introduces a revolutionary approach to providing effective priority, and incorporates a totally new methodology to incorporate intelligent priority management of public transport vehicles. TRANSnet is fully SCATS(*)compatible, but could easily be adapted to other traffic control systems if required. TRIPS installed in Tauranga, NZ. Advantech Design has installed their TRIPS product in Tauranga, New Zealand. Tauranga Council are using TRIPS for monitoring road traffic performance, vehicle delays, and travel times across a number of critical traffic routes througout the city. 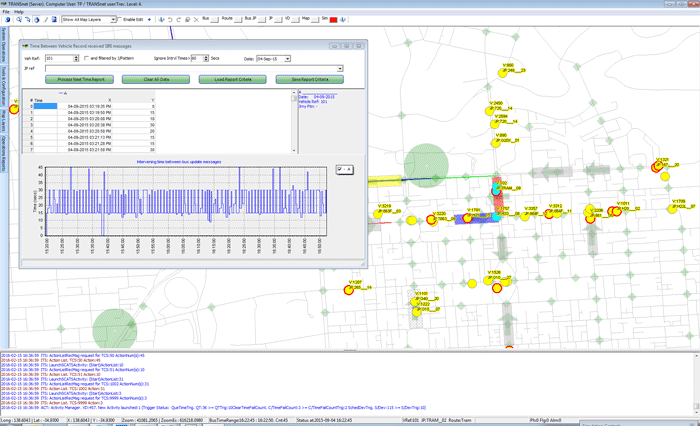 TRIPS has valuable tools for presenting road network productivity and performance. Advantech Design are pleased to announce the release of a new TRANSnet Public Transport Priority control system which has been designed to actively monitor public transport journey and travel times throughout the city area, and provide extremely advanced Public Transport Priority and Performance Reporting functions. 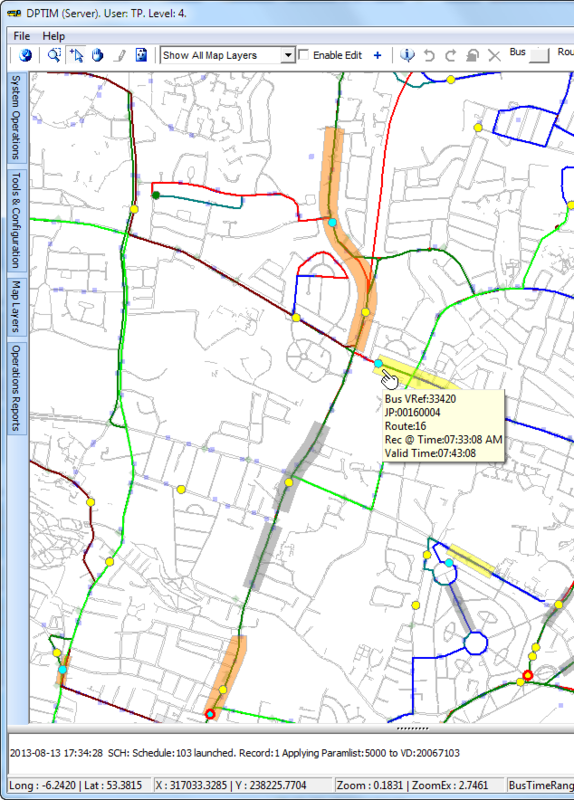 The system is a multi-user map-based application that processes live bus location information in real-time. The data feed front-end consists of a versatile Database Loader which currently receives and processes vehicle location data. All data is stored in a Relational Geospatial Database (Microsoft SQL Server 2008 R2). 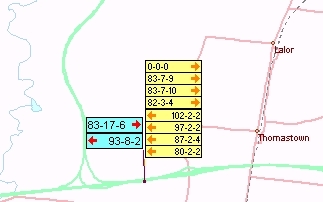 This includes route data, virtual detector data, bus locations data, and all log reports. Virtual Detector zones are created on the map surface by a privileged operator. All drawing, editing, configuration, reporting tools etc are incorporated into the package. Because detectors are created graphically, and can be placed anywhere, it is extremely versatile and requires no on-road hardware changes, controller or personality modifications etc. Detectors can be placed mid-block, at stop lines etc, with total flexibility. There are essentially no limits on the number of detectors, junctions, or Priority Activities that can be implemented by the system. 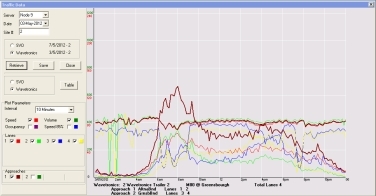 A comprehensive Calendar Scheduler allows different trigger point parameters to be applied to any virtual detector by time-of-day, day of week, etc. This allows for different priority operation for Peak Periods, Weekends, Public Holidays, etc. Once priority is applied at an intersection, the system continually checks the trigger conditions, and can also escalate priority if required. Escalation is via a progressive linked-list so that there is essentially no upper limit to the number of different types of further priority that can be applied. The system can be programmed to control more than one intersection once a trigger condition is detected. For example, if a bus is detected behind schedule, corresponding cycle-length or phase-times might be increased at intersections further downstream to provide additional priority to assist to proactively restore the schedule, rather than waiting for the vehicle to be detected at other specific locations before commencing further priority improvements. On screen hints allow the easy identification of individual vehicles, virtual detectors, traffic signals, journey patterns, bus garages etc. 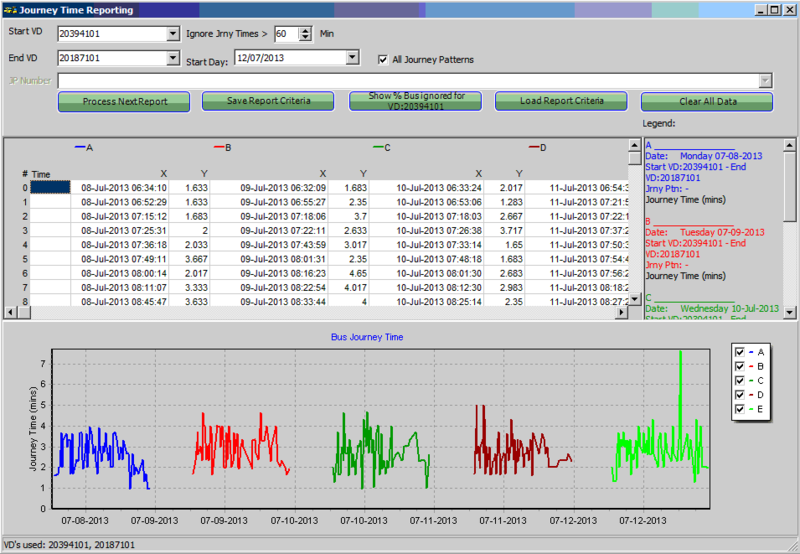 Comprehensive performance reporting on vehicle journey times (absolute, average, exponentially weighted etc) is also available and presented to the user via graphical (chart) and tabulated data displays. Once any report criteria has been defined, it can be optionally saved and recalled at any time for undertaking comparative performance purposes. All events controlled by the system, as well as user actions are logged, and extensive reports with selection criteria filters are available to review this data. 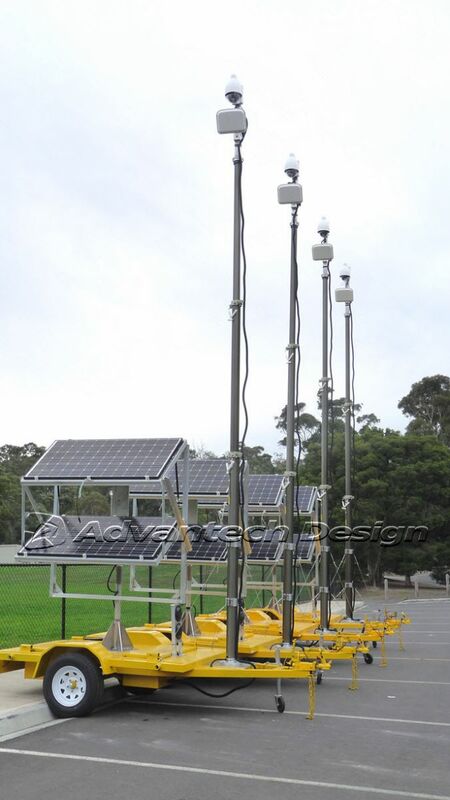 Advantech Design have recently completed the manufacture of a further four (4) Portable Traffic Management Stations. They include traffic performance measuring systems, remote controlled HD CCTV cameras (pan/tilt/zoom) with 3G communications, solar power with battery backup and automatic charging. Solar panels may be rotated independent of the trailer position to face the sun. 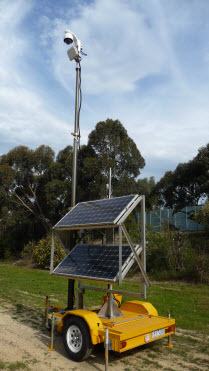 Adjustable solar panel tilt to cater for different peak solar conditions is included. The cameras can reach just on 8 metres above ground level, have 30X Optical Zoom and 360o Pan and 180o Tilt, thus allowing excellent viewing along roadways. Designed for use in road-works zones, they allow traffic engineers to remotely monitor traffic performance, collect live traffic count data across up to 10 lanes of traffic, and take timely action to review and resolve traffic problems as required. 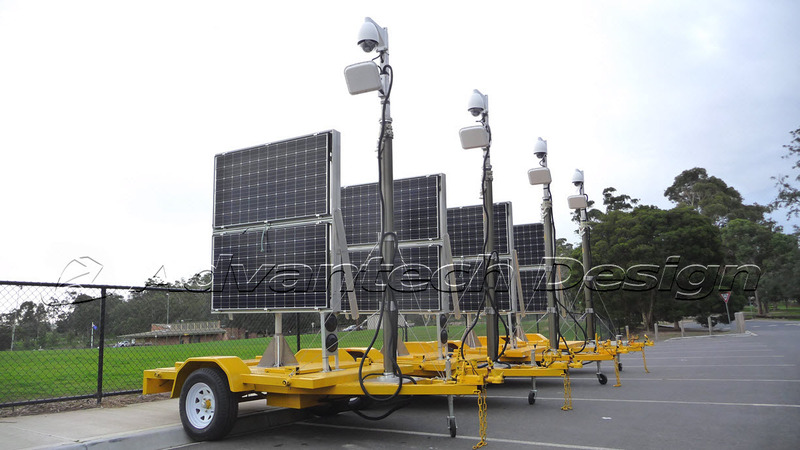 They can also be used for Crowd Surveillance at outdoor events etc, and for security monitoring purposes. 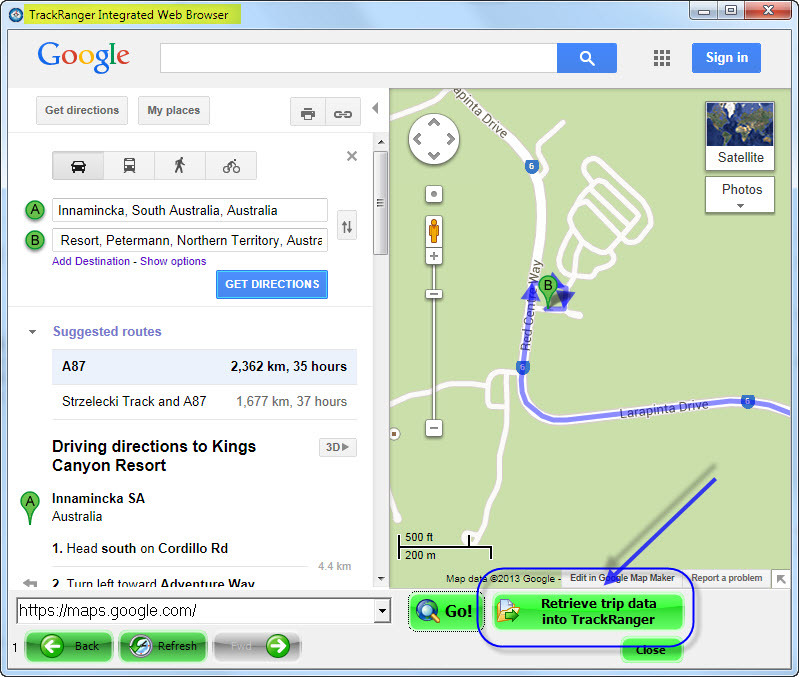 TrackRanger Pro 8.2 includes its own web browser, and integrated trip planning capabilities using Google Maps and Google Earth. 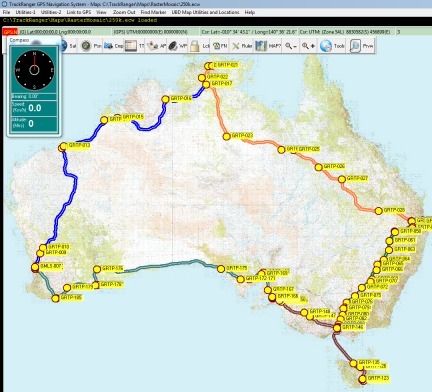 TrackRanger now allows you to undertake full trip planning with Trip Plan and Waypoint turn-by-turn directions by entering your desired destinations, all from directly within TrackRanger. Plan your trip in seconds, without ever leaving TrackRanger. No cut-and-paste required! The latest version of trackRanger (Pro version 8) has now been released. 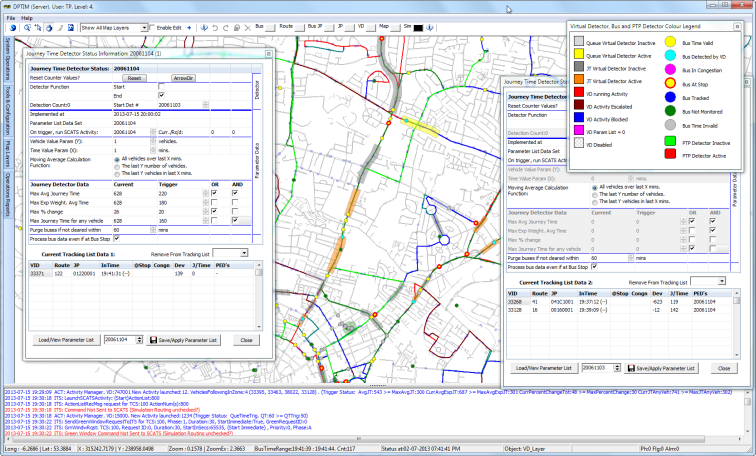 TrackRanger Pro-8 has been updated to support Windows 8 operating systems, and also the new UBD City Streets Version 7 Street directory mapping. It also incorporates a new large panel tool-panel buttons display which is ideally suited to tablet and touch-screen type computers for quickly selecting commonly used features. Advantech Design introduces remote portable wireless CCTV traffic surveillance! Advantech Design have added secure remote controlled wireless CCTV specifically designed for traffic monitoring and traffic surveillance. This allows CCTV cameras with extremely high optical zoom capabilities to be deployed in a fixed or portable environment in a secure VPN environment. 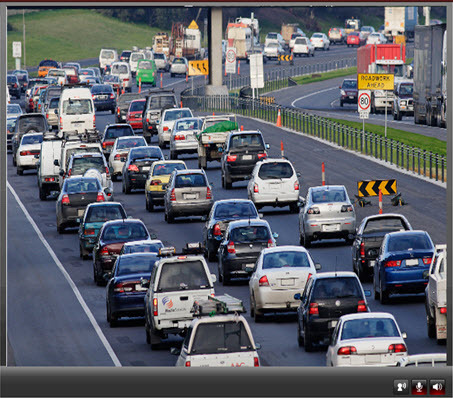 Advantech Design were recently engaged by a Road Authority in Australia to provide vital remote monitoring of traffic on arterial roads when a major freeway needed to be temporarily closed for necessary roadworks. The Advantech CCTV system was deployed within a very short timeframe, and provided traffic engineering specialists with the necessary tools to monitor traffic performance at multiple locations on adjacent arterial roads. This critical visual feedback allowed for fast decisions to be made on deployment of the best traffic management procedures to both maximise efficiency of the road network and minimise disruption to road users. 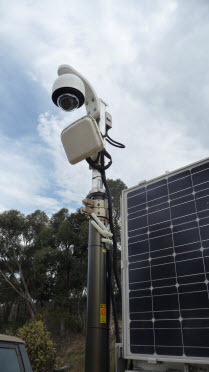 These CCTV surveillance systems have proved to be a vital tool in establishing instant traffic evaluation at sites on Freeways, Motorways and Arterial Road corridors. A pneumatic controlled telescopic pole allows for easy deployment, giving a camera height of more than 8 metres. Pan, Tilt, Zoom, Camera Position presets, Multiple and simultaneous on-screen displays, and Auto-Tracking, together with extremely fast deployment, are just some of the features provide by the Advantech CCTV Traffic Surveillance System! Transcend now interfaces to Wavetronix Smart Sensor traffic counting stations. Remote live data collection is possible from fixed-pole or portable trailer mounted devices directly to Transcend. Both Lane-by lane and Approach summary data are updated in real-time on the map display. The system incorporates integrated GPS, so that the exact location of the remote devices are automatically updated on the GIS map display. 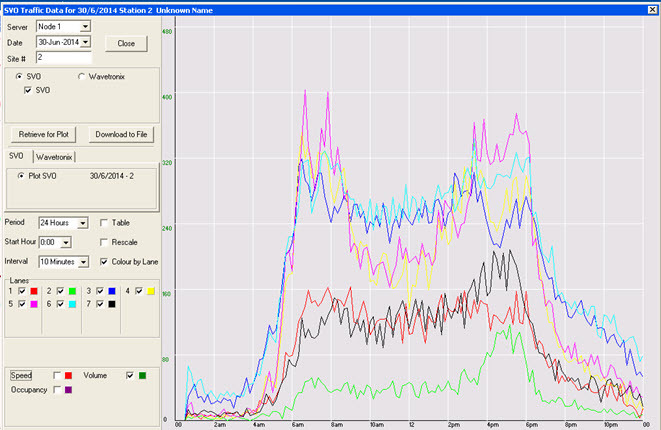 Real-time or Historical Traffic Count and Traffic Statistic data is available in both graphical and tabulated format.